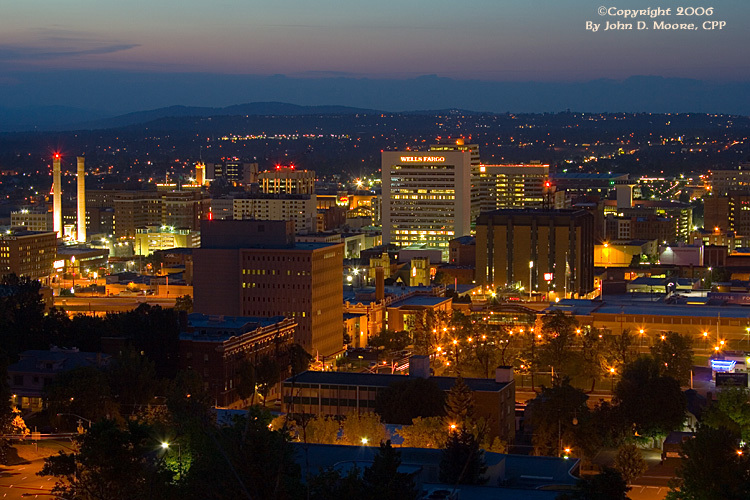 A view of downtown, Spokane, Washington. Scroll across this image to load a second image. A panoramic composition with the scenes.